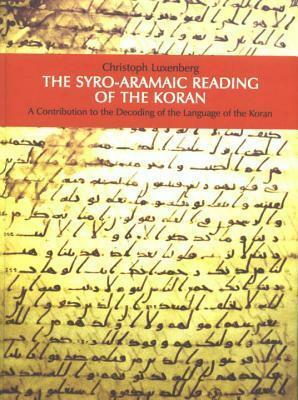 Christoph Luxenberg is the pseudonym of the author of The Syro-Aramaic Reading of the Koran: A Contribution to the Decoding of the Language of the Qur'an (German edition 2000, English translation 2007) and several articles in anthologies about early Islam. Luxenberg came into the public eye in the years after 2000, following the publication of his first book (or at least the first one under this pseudonym), The Syro-Aramaic Reading of the Koran, which asserted that the language of the early compositions of the Qur'an was not exclusively Arabic, as assumed by the classical commentators, but rather is rooted in the Syro-Aramaic dialect of the 7th century Meccan Quraysh tribe, which is associated in the early histories with the founding of the religion of Islam. Luxenberg's premise is that the Aramaic language, which was prevalent throughout the Middle East during the early period of Islam, and was the language of culture and Christian liturgy, had a profound influence on the scriptural composition and meaning of the contents of the Koran. 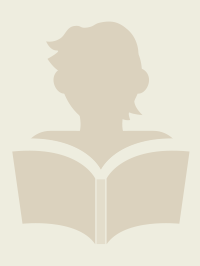 Throughout its history the Koran has presented problems of interpretation. Some scholars estimate that at least a quarter of the text is obscure in meaning, not only for Western translators but even native Arabic speakers, who struggle with the archaic vocabulary that is no longer used in modern Arabic. 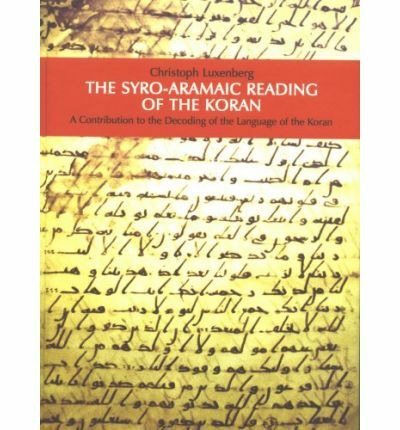 In this in-depth study of the language of the Koran, scholar Christoph Luxenberg dispels much of the mystery surrounding numerous hitherto unclear passages. The key, as Luxenberg shows exhaustively, is to understand that Aramaic--the language of most Middle Eastern Jews and Christians of the pre-Islamic era--had a pervasive influence on the development of the Arabic text of the Koran. For a thousand years preceding the advent of Islam, Aramaic (or Syriac as it was sometimes called) was the lingua franca of many parts of the Near East. It was the native language of the first Christian evangelists and the main liturgical language of the early Christian churches from Syria to Iran. This highly erudite work makes a significant contribution to the study of the Koran and the history of Islamic origins.